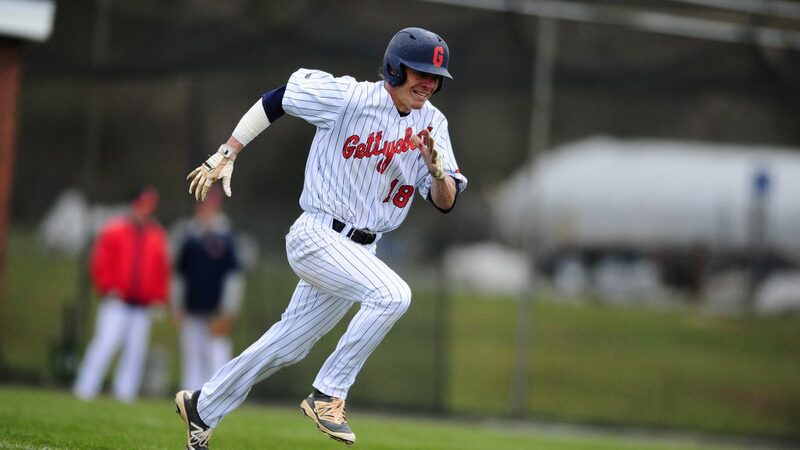 Baseball Falls to Hood College | The Gettysburgian. The Gettysburg College baseball team started off their 2018 season with a loss to Hood College in Frederick, Maryland. The 12-3 loss on the road, however, included notable individual performances by a number of players on the team. Senior co-captain Chuck Probst went 1-2 in the course of the game, managing to record a run and walk twice. Probst will be central to the team’s success this year, as Probst is an all-conference, all-region, and pre-season all-American selection. Probst is coming off a strong junior campaign where he batted .394, hit seven homers and sixty-five hits. Also contributing offensively for the Bullets, sophomore Ryan LaCoe went 3-4 with a triple and record a run. First-year Sean Murphy in his college debut went 2-4 while recording a run. Sophomore Tyler Mitchell was also responsible for two RBIs via a sacrifice fly and a ground out. The Bullets will also look to senior co-captain Logan Sneed for offensive leadership and big plays throughout the season. Last season he batted .315 and went 45-143 with five doubles, 20 RBIs and nine walks. Senior Brad DeMartino started as the pitcher for the Bullets, allowing six runs and eight hits while striking out five batters over four innings. Junior Brendan Wright made his collegiate pitching debut as he pitched two scoreless innings, recording two strikeouts pitching relief for the Bullets. DeMartino will be important for the Bullets as the ace starting pitcher. Last season, he recorded an ERA of 2.55, the fifth-lowest in the Centennial Conference, while also posting a record of 5-2. DeMartino has been an important factor in the Bullets starting rotation since his first year. However, he is the only remaining starting pitcher with significant experience, as the pitching rotation last year graduated four starters, most notably last year’s Centennial Conference Pitcher of the Year Chase Stopyra. Even with the loss of starting pitchers, Coach Campo is confident that his team will still have a strong pitching rotation. “We’ve got some guys who can step up and help us right away. Obviously, experience is a plus, but we have some good talent,” said Campo. This season opener on the road is meant to be a preview to what is considered by the Bullets team to be a promising season, as the team hopes to make the Centennial Conference playoffs for the fifth time in six years. The team is also riding a streak of six straight years winning 20 or more games. The 2018 Gettysburg College baseball team is one that has both young talent and experienced players which team coach John Campo hopes will translate into success. In an interview for Gettysburg College Athletics, Campo commented on his expectations for the team going into 2018. The leaders of Campo’s team this season and their success is important for the success of the team. The presence of these players on the team gives Coach Campo reason to be confident about the prospects for success this season, as the team displays both young players and experienced veterans. The Bullets will play next week in Fort Pierce, Florida during spring break.